Glozho has all the good cheer and fun-lovingness of any other Raven in the flock, unfortunately this means he's also got all the mischievousness to go with it. These things don't mix well when it comes to his work. Glozho is a traveling Doctor, though one could also come to call him a drug dealer if they were so inclined. A master of potions and elixirs of all kinds he assures you that he's got the cure for anything and everything that ails you. He'll even give you a sample, free. It won't fix everything, it's pretty watered down and weak, but it will do it's job just good enough to get you to come back for the real thing. And that's when his real fun starts. Whatever he gives you will work, rest assured, and he'll even give it to you for a fair price as much as it may annoy the greedy demon that does his haggling. No, all the fun is in the side effects. Sleeping Draught? Can do. But it's hardly his fault you spent the next day speaking backwards, you should have read the label, it says clearly right there in the fine print not to eat chinese within a month of taking. Same goes for the hairdye that made you go bald, it says two drops, not two glops. He can't be held at fault that you didn't read the fine print, he can't speak to tell you, after all. Warning, it is arguable about whether that fine print says anything useful at all unless you happen to be fluent in demon-gibberish. He is very sure to keep himself composed in appearance, one can't be a respectable doctor and look like a ragamuffin after all. 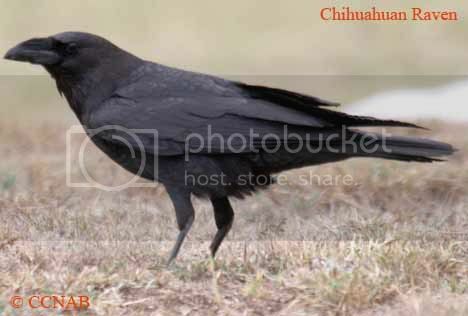 With the large beak and matte feathers resembling a Chihuahuan Raven fading back into the sleek and shiny black fur of an Egyptian he is very official looking. His feathers always preened and crisp and his fur brushed flat and clean it's hard to take fault in his appearance. He goes about his work with steady talons and more than a few charms and spells to get in the little movements talons just can't accomplish. There's not a thing about him that you wouldn't find untrustworthy or seedie, well except maybe the gleam in his black eyes or the way the white patch on his chest is strangely beaker-shaped. Totally a respectable Raven right here. Other: Glozho is a Hippowitch, This common Hippogryph is fairly normal in appearance and design, but they are very talented potions makers and have the ability to make a few small spells- cursing you with bad luck for a day, locating small items, etc. They may also summon up a tiny, foot-tall talking demon, which they can use to do their bidding, be it measuring ingredients for a complex spell or berate you for touching it. A sturdy and strong looking Peacock, this female has the traditional colors of her species, with a blue head and neck, slender and beautiful, with the bright blue-spotted green feathers making her looking extremely elegant. Her hind side however, takes on a stick and sturdy form, with powerful legs, and light hair around her hooves. Unlike her colorful front, this lady's back is completely black, an interesting contrast that makes her oddly quite alluring. She is soft-spoken, often silent. She likes to keep to herself, likes to always look proper, and enjoys being graceful and pretty. She has a sort of pride to maintain and she often acts slight and very feminine as a sort of mask to hide the strong interior that she really has. She can take care of herself perfectly fine, she can be independent, but often times she doesn't act that way. She'll feign weakness, even helplessness in order to not give herself away, and no one, not even her bonded, will truly know what she is capable of behind the light nod of her head and the smile in her dark eyes. Whether you choose to really trust her or not is simply up to you. 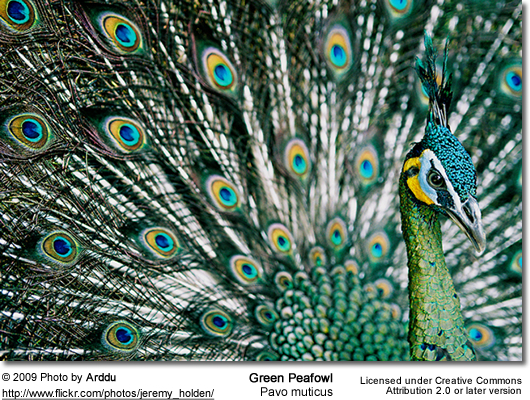 A strangely thin female, this Peacock takes on a brilliant Emerald green color throughout instead of the traditional blue around her head and neck. Her neck is darker, more of a yellowy color, and even her wings take on a mostly green color, with lovely eyes of blue dotted on her feathers. Her back half is rather dull compared to her front, mostly brown fading to white as her legs approach the black hooves, and then dark brown stripes can be seen cutting through up her legs, and down her back. Her tail is brown and it too fades to a more white color. She's slick and sly, a thief at heart, and she is independent, having lived alone before. She does have a side that yearns for love and attention, but she's stronger then that, and knows that she can't always have her way, get what she wants. She's very adaptable and able, she can protect herself if she needs to, she can blend in, stand out, and do the likes if need be. She's prone to stealing things, taking a liking of pretty stuff that may seem quite common, and she's quite skilled at taking it behind your back. Get on her good side though, gain her trust, and she is quite affectionate and loving and caring. She may even steal things for you. Getting that trust isn't terribly impossible, just show that you care, show that you'll do as much for as she'd for you, and she should be by your side whenever you call. She looks like a tapestry if threads could be spun from rare glittering jewels. Starting from the top of her head by her small beak, her noble head is a golden hue that fades into bright as azure blue down her neck with faint hints of light green mixed in, bending over her body and others with deep dark sapphire blue. The colors reverse on her wings, distinct layers of deep blue, almost cyan, and finally tips of gold. 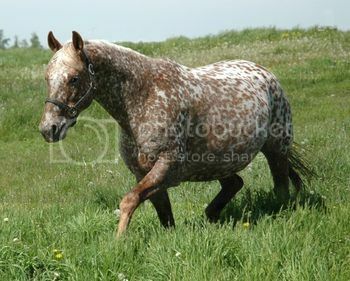 Her horse half, naturally, isn't quite so brilliant in its hues, although she is definitely a stately creature in shape and form, taking after an American Paint in mostly white hide mixed with smooth-edged splashes of a lustrous bright brown, as bright as brown can be that is. In case the site didn't make it obvious, there's no way one could think this lady is anything but a Peacock. She has a regal, confident bearing, obviously completely at ease with herself at all times and gliding through the air and life in whole, almost. The only time she stumbles is when her mind gets distracted by a man — and that's very often. Though attracted to the finer things in life, from jewelry (especially jewelry) to aged wines and everything you'd expect a sophisticated classy lady to be associated with, there's nothing she's more attracted to than sophisticated classy man. And when she falls in love, she falls completely in love, painfully stricken. It causes a lot of problems, causes her head to go hazy, but she just can't help it, she just wants to love a man like that so bad. Her infatuations might change over time, but the type of guy she falls for stays constant, and so does the depth of her emotional drama. She wants to love that man, that perfect handsome man as smart as her, as graceful and mannered, and she's gonna find that man. She is the most quiet and secretive of all of her siblings. She isn't one to welcome you into her wings, in fact it will take a lot for this girl to completely trust you. She isn't stubborn, or scared, just very cautious if you would. She wants to be able to give you lots of love and care for you like one of her own babies, but it would take a lot earn that trust. After all, how does she know that you don't work for a secret government agency that is planning on taking over the weyrd? She doesn't! It may take a while to earn it, but once you do, you will have a forever companion. Is it worth the work? Yes, yes it is. 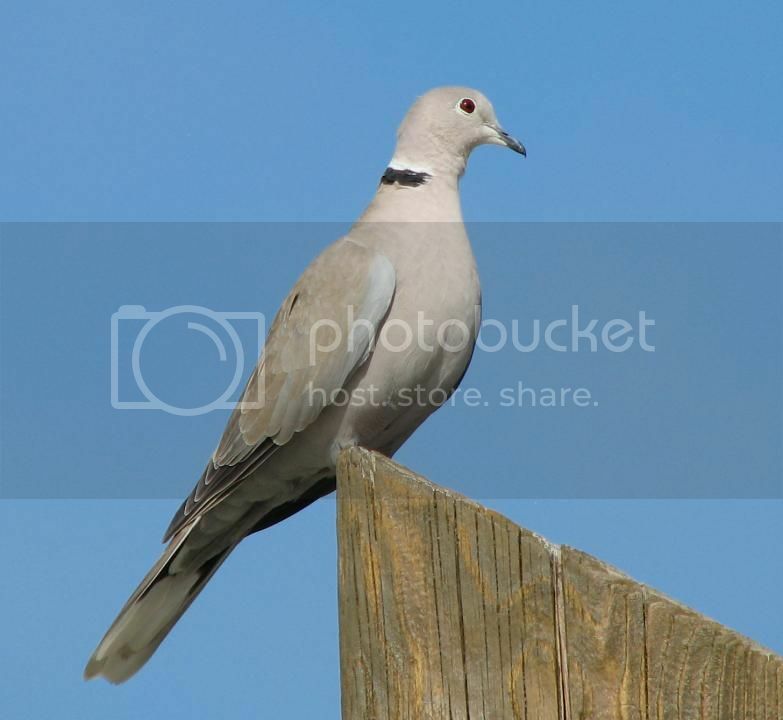 A light beach sand tan covers the majority of the bird half of this dove. However, just behind her neck is a single line of white followed by a stroke of black. Once the feathers give way, a spotted coat takes over. At first more brown hairs than white, but as it progress towards the rump more white hairs take over and the spots multiply. Her tail is a mix of white and brown hairs, luscious and full. Her eyes are a blackish red in color, always seemingly wary. For such a mean spirited man he is certainly a very good looking individual. 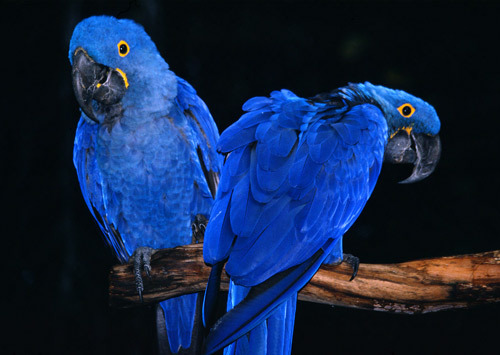 The front half of his body is covered in the bright blue feathers of the Hyacinth Macaw, making him a rather striking looking male when seen from a far. Up close one is more better able to see that he's not jut blue, for there are patches of bright yellow around his eyes, and following the lower half of his beak so that both features stand out against the bright blue of his feathered body. The rear half of his body has taken on the majestic form of a Rocky Mountain horse, and he's rather tall at a rather impressive 16 hands high. 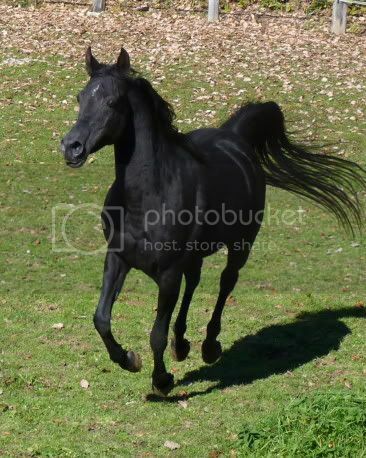 The hair of his rear end is a deep ebony black, providing a striking contrast to his brightly colored front half, and it's hard to imagine that two such different colors would work harmoniously on one body. In stark contrast to his body is his tail, which is a dirty white hue that nearly reaches the lower half of his legs. For a macaw he's a very odd guy, he's the most cold macaw that you've probably met, and not to mention the most opinionated one too. He's of the mind that his opinion is the only one that matters, and if you don't listen to that opinion then there is something horribly wrong with you! Judgmental and harsh it is not often that this guy will find something good to say about anything, and spends most of his time staring at people as if waiting for them to make a mistake - which is totally what he is doing while he's giving you the evil eye. As bad as all this is it is even worse when food is involved, for he will unashamedly spit out any food that he doesn't like the taste of, and outright not eat something that he thinks is inedible. Most people don't eat things for understandable reasons, like the chicken smelling sour, but he'll not eat something purely because the plate isn't set up right, or the food isn't quite cooked to his high level of standards. It's lucky that can't talk, as he'd happily talk about food places that don't live up to his expectations to all his friends if he could. All he can do is force his bond to avoid the place by dragging them away, and if he's lucky as many of his bond's friends as he can manage. He'll do everything in his power to bring the low food standards to the attention of the populace, and he doesn't feel at all sorry if his behavior puts a family out of business. As far as he is concerned if you serve bad food then you deserve to go out of business, and he's not about to feel guilty about it either - as it's quite possible that he's incapable of feeling guilty for his behavior. Obviously hippogryphs weren't smart enough to speak. Right? Well guy likes to make you think he could. Though he really had not too much a clue what you were saying, he made you think he did. He was a clever little guy, always watching you to see how he should react. In addition to squawking like he knew what was up, he also loves to play mirror mirror. Any move you make he'll mimic it and he is quite good at it too. Even when you move as fast as you can, it's really hard to make him screw up. Oh and he'll do this for hours. The more upset you get, the longer it will probably last. 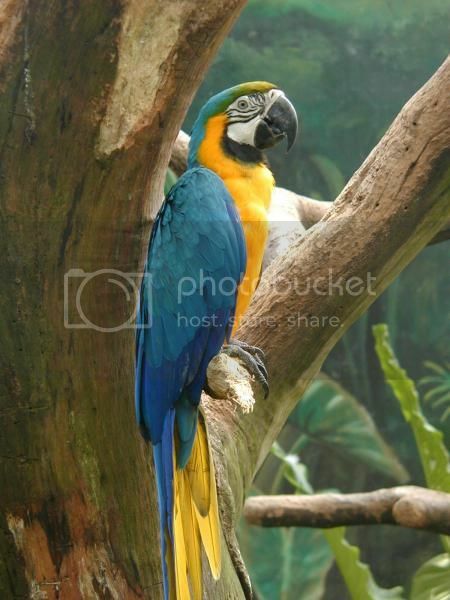 This boy is truly a pretty sight, especially for a macaw. Around his face is white with zebra markings about his eye, his beak a soft black. His top line is a beautiful blue, bright but soft, underside a beautiful golden color. 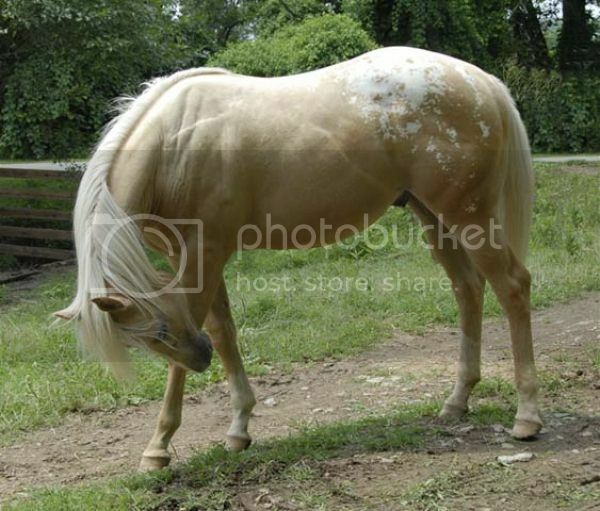 His hide is a wonderful golden palomino, with smaller patches of white on his hindquarters, a soft blanket, but no spots within. His tail is a tad thinner, but stark white, a wonderful contrast to this golden creature.